A website, whether it’s an informational site or an online store, represents your business 24 hours and 7 days a week. Most business owners think that creating a website is a cumbersome and expensive task. Others are further discouraged because they realize that a website needs to be promoted too. But with Wix, creating your website, managing it, and promoting it is simple and quick. Anyone with basic IT skills can manage all these aspects. There is no need to hire a web designer or pay an SEO agency. This guide explains the simplicity of creating and promoting your own Wix website. Create an Account: Easily create an account using your email address or social media account. Select the type of business: This process involves choosing the type of website, such as a business site, online store, blog, music site, design site, or anything else, based on your business. 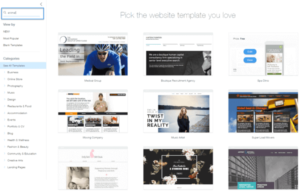 Choose a Template: Once you have chosen your business type, the Wix Website Builder will present you with hundreds of templates to choose from. Customize the Template: The templates can be easily edited using drag-and-drop function. Add images, text, choose fonts and colors of your choice, add custom headers and footers, and do much more. Add Media: You can add not just photos and create photo gallery, the Wix editor also allows you to add audio and video to your webpages. You can also add background videos to your pages with just a click. Customize Each Page: Whether you want to add custom elements to each webpage or maintain similarity between different pages, this editor provides you easy-to-understand controls to achieve your goals. Add Blog: When you add a blog to your website, you are paving the path for generating targeted traffic to your site. Wix Editor also makes it a breeze to add a blog and maintain it. Add Products: If you are building an online store, you can choose Wix Stores to create your store and start adding products. Add as many photos of your products, add detailed description, add features like shopping carts, payments, and shipping. Once you have added all the required features, you can publish your website. Wix even allows you to host your website on its own domain or on your own. There is no need to go to a third-party domain hosting service. Everything can be chosen and managed from within this platform. 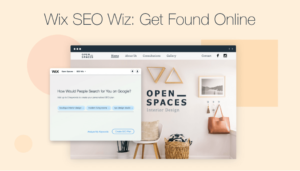 SEO Wiz is Wix’s SEO tool that allows you to promote your website once you have created it. You can use it yourself without the need for hiring the services of an SEO agency. SEO Wiz does most of the hard work when optimizing your website. Enter the Keywords: The tool follows an automated process for optimizing your website. It will ask you for the keywords you want to target. You have to enter all the potential keywords which your searchers will be looking for when searching online. Keyword Analysis: Wix SEO Wiz will run an analysis of the strength and relevance of your keywords. This will further help you determine if the keywords you entered are the best for your website. Complete the SEO Plan: The tool will create your custom SEO plan by asking you a series of questions. Just follow the step-by-step guide and you will have your personalized SEO plan ready to be implemented. Every change you make, you can easily save within the Editor. Click on the ‘refresh’ option and the changes will be updated on your website. SEO is not something that should be addressed only at the beginning of your website’s design. It should be a continuous process if you want to rank higher and drive large volume of targeted traffic. SEO Wiz keeps you up-to-date with your site’s rankings by providing regular reports. It generates easy to comprehend reports so that you can keep track of your SEO progress. It also provides a knowledge base so that you can implement latest SEO strategies to stay ahead of the game. 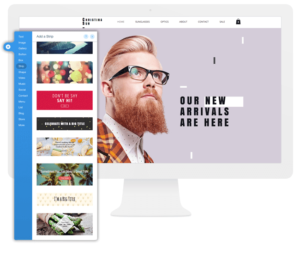 Wix has been used for years as a successful website builder. Over the years, it has launched new tools to further enhance its functionalities. Today, you can use it not just to create a professional-looking website and fully-functional website with all the required features and functions, you can also promote your website without hiring any service providers. You can use this platform to create and promote your site even if you are a novice without any prior experience. All you will need to know is how to use a PC and basic applications. In the long-term, you will be able to achieve your functional and marketing goals while also making lots of savings. Where to get the Best Online Casino Experience? Sudy App: A Dating App with a Difference!